Four U.S. skiers began the U23 women’s 10 k skate individual start at the 2019 U23 World Ski Championships in Lahti, Finland on Wednesday, all four finished in the top-30 after Russia’s Mariya Istomina claimed the win in 25:57.3 minutes. Fnland’s Evelina Pippo was second (+2.0), and Norway’s Tiril Udnes Weng third (+29.6). Istomina and Pippo are scheduled to compete at this weekend’s Ulricehamn, Sweden World Cup and have concluded their competition schedules at U23 Worlds. The best placed North American was U.S. athlete Julia Kern who placed 12th (+1:21.9). In Kern’s fifth trip to World Juniors and her second as a U23, Wednesday’s 12th place was a career best individual Junior/U23 World’s distance result. The next scheduled race for the U23 women is a 15 k classic mass start race on Jan. 25. Evelina Sutro in her first Worlds finished in 18th, stopping the clock 1:47.6 minutes behind Istomina’s winning time. Also for the U.S., Hailey Swirbul raced to 26th (+2:90.5), Alayna Sonnesyn 27th (+2:12.6). Canada’s Sadie White placed 43rd (+3:15.4), Hannah Mehain 44th (+3:19.8), Natalia Hynes 49th (+3:42.8), and Marie Corriveau 54th (+4:58.9). The U23 men raced a 15 k skate on Tuesday with France’s Jules Lapierre taking the win in 34:02.8 minutes. The Czech Republic’s Michal Novak placed second (+29.0), and Ivan Yakimushkin third (+30.0). 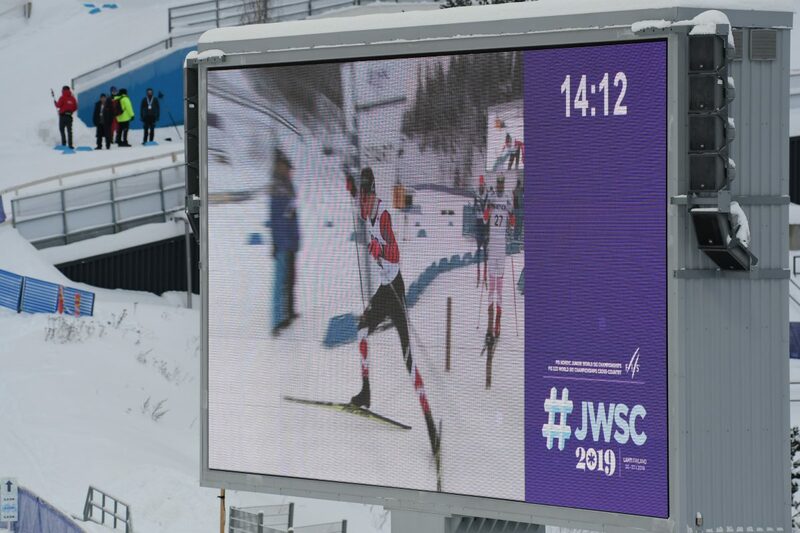 Canada’s Antoine Cyr was the highest placed North American in 38th (+2:56.6). Teammates Gareth Williams skied to 39th (+3:04.0), Graham Ritchie 52nd (+4:02.1), and Julian Smith 57th (+4:20.2). For the U.S., Hunter Wonders finished in 43rd (+3:20.8), Peter Holmes 48th (+3:43.8), and Braden Becker 53rd (+4:03.1).